Greater Oak Hills Civic Assn. 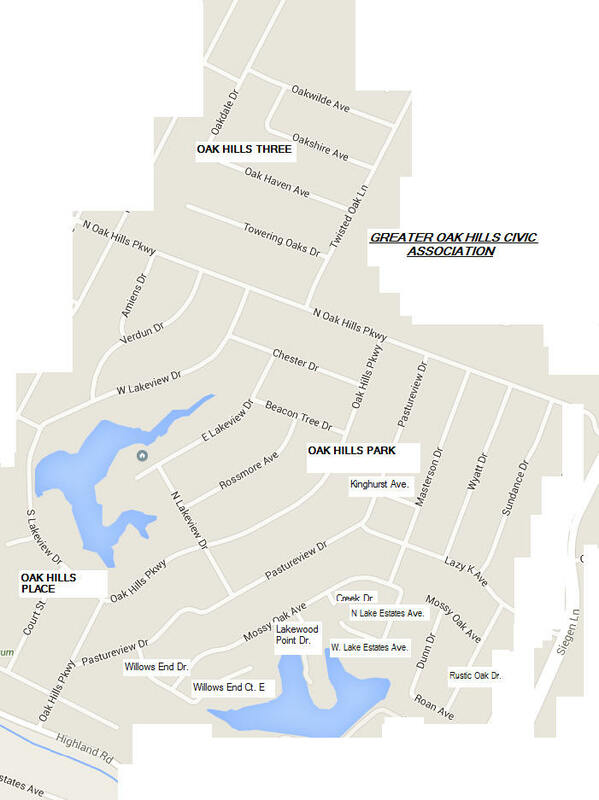 A unity of neighbors, consisting of Oak Hills Place, Oak Hills Park, and Oak Hills III. We need YOUR support! We provide security patrols, host neighborhood events, maintain the entrance signs, and provide lawn service and plantings for each of our main entrances! OR - you can click on this link to pay your dues online - and don't forget to fill out the information sheet as well and click submit! Please try to pay your dues by March 19, 2018 if possible! Thank you! 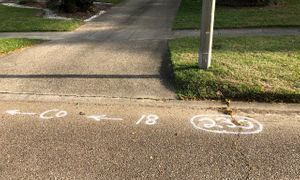 Have you seen these markings on many of the Oak Hills neighborhood streets? That's AT&T contract workers who are diligently trying to install Fiber Optic Internet. They have hired a company to do this work - their cars/trucks are not marked with a company name or AT&T, but they are the official installers of the wiring. There are 4 crews working very hard to bring fiber optics to our neighborhood. Please be reminded that there is a 15' servitude for utilities - that is in all the property restrictions for the neighborhoods. These installers may have to go into your backyard to install - sometimes digging underground. But they do clean up & usually leave things looking nice. Special Spring Offer for Oak Hills Residents for Tree Consultations and Fertilization! Trinity Tree Consultants, LLC is our family business, and since we live in Oak Hills, we want to offer a Spring Special on Fertilizing this year. 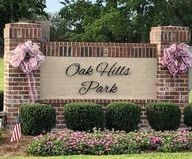 All residents of the greater Oak Hills neighborhoods will receive a 20% off discount on all Tree Fertilization Services for Spring (February-April) 2019 (Limit 10 trees per household)!! Healthy trees are good for all of us, and help our community in many ways, environmentally and with property value. If you need consultations on your trees, that is what we do, and exactly how we got our business started, one tree at a time!! We will also honor a 20% discount on all consultation services, Tree Inspections (February -April). Go to our web site, www.trinitytreeconsultants.com, to send us a request and we will contact you to get you scheduled. Coming up this Spring (possibly in April) - Scott will offer a Tree Seminar and information about Termites! 12-10-17 "Who is responsible for repairing sidewalks? 2018-11-12 "St. George students, EBR Parish schools"
NOTE: Updated number for faster response time. "Yard of the Month" is awarded to one current GOHCA member each month during the spring, summer and fall months. Judges for this award are members of the beautification committee and other volunteers. The judging is usually during the 2nd week of the current month. A sign in the winning yard is displayed for the month and the winner receives a potted plant.